Water softeners, in the field of water treatment, are tools that allow us to really do something about the quality of water that flows through your home in Sanford or anywhere else around the central or southern part of Florida. A water softener does exactly what it sounds like. It helps remove the hardness, or the dense mineral compounds that exist in the water that you are currently using, and makes it softer, or cleaner water. This is what we do a lot of. Many families do not know they are using hard water, and although they often complain about the dishes not being cleaned well enough and having streak marks left on them after a thorough washing, or not feeling great about the showers they are taking, there is a very good reason for it. The reason you are having problems with your water and it is not working the way you want it to is exactly because of the excess minerals in the water you are using. A water softener is one of the best solutions to handle this mess. 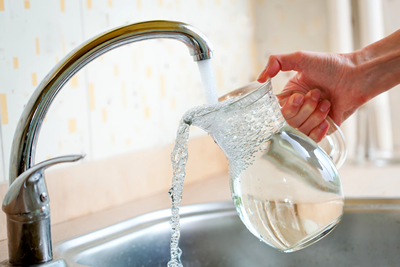 South Florida Water is local to Sanford, FL because we know that folks in Sanford like you are conscious of their water and want the best for their families and to protect one of their biggest investments, their Sanford home. If you live in the Sanford area and you are interested in purchasing a conditioner/purifier or if you just have some questions that need answering beforehand, please visit the rest of our website and then call South Florida Water for a free, no obligation water analysis. We will have our Sanford representative answer any questions you have and how you can have clean, crystal clear, chlorine free and spot free water throughout your Sanford home. have and how you can have clean, crystal clear, chlorine free and spot free water throughout your Sanford home. We want to earn your business!